Thought I'd start a thread so we can keep up on bugs and ask each other questions. To wit: I'm on the latest Lockinfo beta (3.2.0.11) and am having an issue with InfoShade--I absolutely cannot get it to activate on the lockscreen no matter what gesture I assign to it. The setting just never seems to take. I can assign lockscreen gestures to other things in Lockinfo, but InfoShade just doesn't recognize anything. Ideas? Well, that was fast: I reported it to David Ashman (LockInfo developer) who confirmed it's a bug; he just fixed it, he said. Totally agree on the UI front...Lockinfo isn't the prettiest thing. In fact, I themed my last install to look like the Notification Center pull-down pane and plan to do it again as soon as I'm on a stable release. 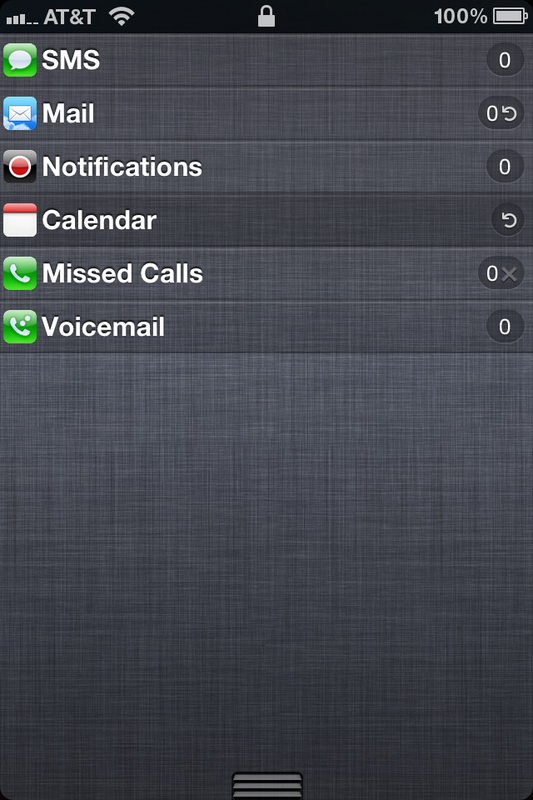 -Apple's Notification Center pull-down in Homescreen and while in apps. -A clear lockscreen with the option to pull down InfoShade from the statusbar. What I'm not sure on still is whether or not LockInfo will pick up on new notifications for apps that have the "Show in Lockscreen" option turned off in the Apple settings. Where do I get lockinfo from? I can't stand not being Jailbroken anymore. So I guess I'll just use the tethered version. Knowing my luck as soon as I do the dev team will release the untethered. BTW. I wrote this whole thing using Siri. With not one mistake got to love this phone. Is it possible to theme LockInfo on iOS 5? I have the Winterboard fix installed, but when I apply a LockInfo theme, it isn't working. My clock on the lockscreen has disappeared. Anyone know how to get it back? I don't see the usual hide clock setting or anything like that. Okay, I spent a little time with this tonight and can report that most of the images are the same...I themed this without Winterboard since I've heard it was pretty buggy still--I just went in and changed the original images in LockInfo. So: it can be done. Not sure exactly why I did it, since I'll just have to do it again with each update...I'm sure I'd eventually use Winterboard for this. There is a beta out (add http://apt.dba-technologies.com/beta/) but this version isn't out yet. Basically he's rewriting everything to work within the native Notification Center so it's taking a while. I like the look of it, but I seem to remember a lot of bug reports with their earlier apps. Definitely interested in trying it out though!